The dark and twisted community of Woodsend harbors a terrible secret-one tracing back to the age of the Elizabethan witch hunts, when many innocent women were persecuted and hanged. But there is a far deeper vein of horror running through this village; an evil that, once invoked, has no intention of relinquishing its grip on the modern world. Rather, it watches and waits with a focused intelligence, leaving ward sister Becky and police officer Toby constantly checking over their shoulders and jumping at shadows. Just who invited in this malevolent presence? 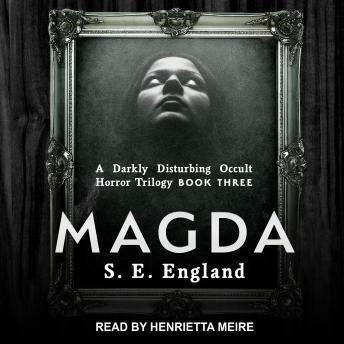 And is the demonic woman who possessed Magda back in the sixteenth century the same one now gazing at Becky whenever she looks in the mirror? You may need to sleep with the lights on after listening to this . . . Are you ready to meet Magda in this final installment to the trilogy? Are you sure?